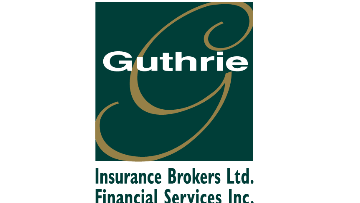 Guthrie Insurance Brokers is an established, client focused, long-standing firm specializing in family accounts, and SME commercial. We are expanding and in need of a cheerful, motivated client service and sales advisor with experience, extensive knowledge, and a passion for the insurance business. Location will be from either our Markham office (Warden/Steeles) or Whitby office (Brock/Consumers). Once completely up to speed, there may also be an opportunity to work from home 1-2 days per week in the Durham, Markham, or Toronto area. Position is best suited for those outgoing, disciplined individuals able to provide client empathy, and responsive service and sales ability. Tasks include managing renewals, endorsements, incoming inquires, claims and providing prompt, expert advice to clients and prospects while working with other employees and insurers. RIBO licensed and minimum of 5 years RIBO insurance experience. High school/post secondary and a demonstration of ongoing insurance education i.e. CAIB, CIP. A thorough knowledge of software ideally including Power Broker, Applied Rating, MS Outlook, Word. Focused and motivated with the ability to work both independently and in a team environment. Remuneration commensurate with experience, knowledge and accreditations. If this position is of interest please submit resume and salary/commission expectations to Lynn Penny – Lynn@ GuthrieInsurance.com. Note: Your interest is sincerely appreciated and only those selected for further interviews will be contacted.